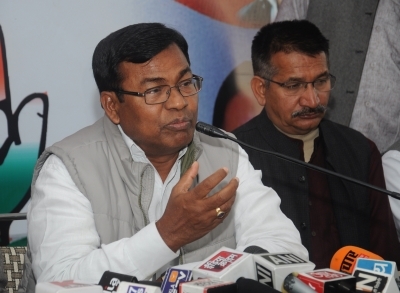 New Delhi Sep 14 (IANS) The Congress party on Friday announced its screening committee for Telangana with former MP Bhakta Charan Das as its chairperson. The other two members of the committee are Jothimani Sennimalai and Sharmistha Mukherjee. The announcement was made by party General Secretary Ashok Gehlot. The opposition parties including Congress Telugu Desam Party and Communist Party of India joined hands to form a grand alliance to take on the ruling Telangana Rashtra Samithi in the ensuing Assembly elections. The Telangana Assembly was dissolved on September 6 paving way for an early election in the state.